On February 23, 1896, a candymaker from Austria named Leo Hirschfield opened his shop in New York City. Never heard of him? You’ve definitely heard of his work. As the story goes, in that shop Hirschfield came up with the humble Tootsie Roll. It is one of the twentieth century’s iconic candies. Not long after, he merged with Stern & Saalberg Co. to produce the candies on a bigger scale. They did this after seeing how popular his creation was. The wax-paper-wrapped sweet, produced in NYC beginning in 1905, was the first candy to solve two confectionery issues. Although it had a chocolatey taste, the penny candy didn’t melt, and it was individually wrapped. Before A/C and refrigerators, candy-sellers spent the hot summers trying to sell candies like taffy and marshmallows. They could stand some heat without melting. Chocolate, on the other hand, was nothing but a sticky mess in the summer weather. “The genius of Tootsie Roll was to create a summer candy that was a flavor never before seen in summer candies, the flavor of chocolate,” writes “Candy Professor” Samira Kawash, who also authored a book about the history of candy. The patent associated with the Tootsie Roll-making process describes how Hirschfield achieved that hard-but-not-too-hard texture that still characterizes the Tootsie Roll today. Most pulled candies (which the Tootsie Roll is) are “light and porous” after being made, the patent reads. But the Tootsie Roll was baked at a low temperature for about two hours. Afterwards it would be shaped and packaged. The idea was to give the treat “a peculiar mellow consistency” the patent reads, that would help it maintain its shape and not melt. The Tootsie Roll, whose recipe is basically the same today, wasn’t that chocolatey. But if you had a craving, it was better than anything else on the market. And it was cheap, an important factor in encouraging candy growth. When the Tootsie Pop came along in the early 1930s, writes Retroland, it quickly became a Depression-era favorite. Then WWII happened. Food historians remember that conflict as a watershed moment in the history of processed food. The Tootsie Roll (like other nominally chocolate-flavored rations) was right there on the front lines. This gave the candy company an early form of a government contract, writes the Dodge Legal Group, and kept them manufacturing while the war effort shut down many other confectionaries. It also helped cement American affection for the candy. After the war, the Tootsie Pop had its moment on early television with an iconic advertisement. It featured Mr. Owl and friends. The official Tootsie Roll website says this is 1970 ad was the first to ask the “How Many Licks” question, but by far not the last. Based on her investigations, Kawash believes that Hirschfield may have been working for the Stern & Saalberg company well before the invention of his signature candy. And she believes that he also invented Bro-Man-Gel-On/Bromangelon. Tootsie rolls are one of my favorite candy. 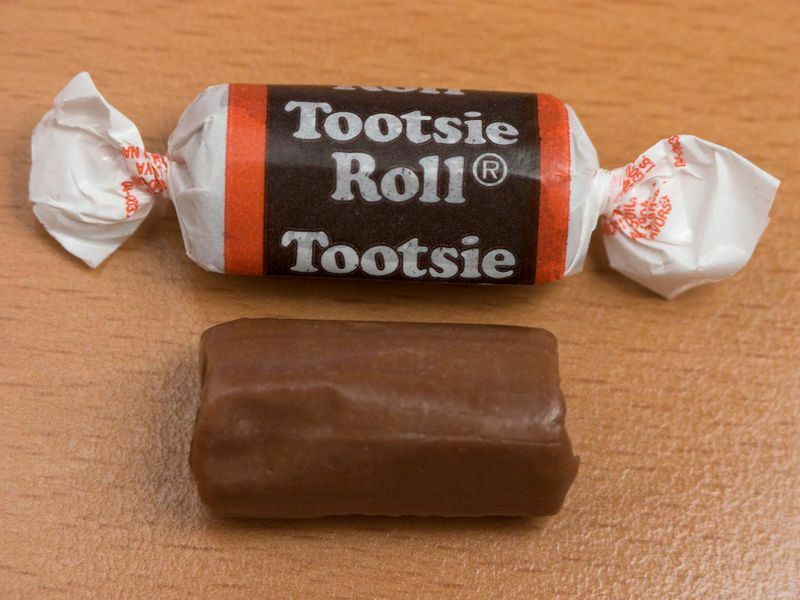 I like how they make different sized tootsie rolls. The make the small kind, big kind, and the long kind. The one I like to eat the most is the bug ones because the have the most in it. hey how come there is no quiz!!!!!!!!!!!!!!! It is hard to believe how old tootsie pops are. In 1905 they began production. Interesting how it became a depression era favorite. I think it is awesome that people still buy these "today". Overall very interesting article. They were able to enjoy them because they didn’t melt as fast as chocolate but did have the chocolate taste. They were able to enjoy the because they didn’t melt as fast as chocolate but did have the chocolate taste. People were able to enjoy Tootsie Rolls during summer months because Tootsie Rolls were not made like chocolate now back then there was no ac,or fans, or refrigerator to keep things cool or to stop them from getting to hot and melting. Chocolate would melt in the stores and make a sticky mess and then the store clarks could not sell it. The Tootsie Roll achieved that hard texture but not too hard. The Tootsie Roll was baked at a low temperature for 2 hours and then afterwards it was shaped and packaged. 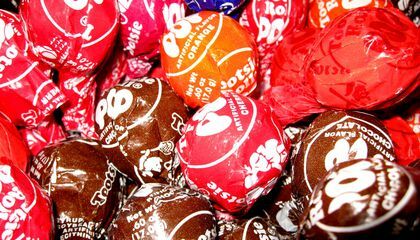 People were able to buy Tootsie Rolls in the summer because they would not melt like other things. Tootsie Rolls were good to sell during the hot summmer months because Tootsie Rolls weren't completely chocolate and could stand some heat before A/C's and refrigerators were invented. Because it didn't melt and make a mess. So you could carry them around with you. It's astonishing to think that these candies have been around so long, over 100 years. I don't like tootsie rolls, but it was interesting learning so many facts. I never knew that they wouldn't melt in the summer heat.